Can Free Software save the public money? 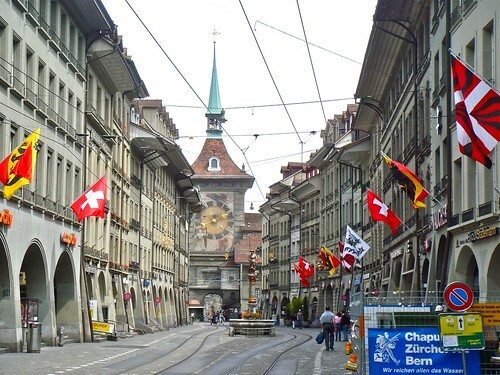 Bern City Council have adopted an Open Source software procurement policy. I am glad to see another municipality look at the true costs of software procurement and the ‘preferring’ of open source. Much open source software is free to use, but there remain costs to its adoption and use. My expectation in the late noughties was that Government’s would find it harder and harder to justify the continued expense on buying permission to use software and move rapidly towards free/libre open source software (FLOSS). This optimism is despite the 2004 debacle of the London Borough of Newham’s Microsoft renewal contract negotiations, reported critically in the Register and less critically in Computer World. In 2004, it was argued that the Total Cost of Ownership advantages of Free Software were marginal and overstated. It is clear that Newham did not include a cost of exit in their TCO calculations, and probably did not include the cost of rescuing abandoned formats but there is no doubt that platform migrations are expensive, and migrating from Microsoft Exchange, or any mail platform, doubly so. If they used the threat of open source to get a better offer from incumbent vendors, then good for them. The other two medium term municipal open source flag bearers are in Germany, Munich and Freiberg. Phipps reports, in his blog article, entitled “Intended to Fail?”, again at his Computer World blog. Simon’s article makes interesting reading and once again the treatment of migration and format conversions costs is raised. Freiberg also only sought to convert the desktop productivity software i.e. word processing, spreadsheet and presentation programs, whereas Munich sought to replace the Desktop operating system with an open source alternative, Linux. The financial values quoted in the article suggest that there are significant economies of scale available to Munich, which is significantly larger than Berne, Freiberg or Newham with 1.42m residents. Simon also points out that the lower level of ambition, in only seeking to replace the Office software and the number of exceptions permitted may have been further reasons for failure. It is also a fact that over focusing on skills supply issues means that dominant suppliers will have competitive advantage in any bidding situation in that, where permitted, user self administration is more effective as is in-house 1st and 2nd line support. The IT department will also want to maximise the use of its skills acquisition programmes. There is little doubt that in the private sector, the arrival of mobile computing, the unacceptability of Windows Vista to the corporate sector, and Microsoft’s failure to produce a successful mobile operating system has created the opportunity to innovate the corporate computing platform and its supply chain. Microsoft’s economic advantage in sunk cost is now based on server products such as Exchange and Sharepoint, and these don’t work well with phones. Other major trends influencing these decisions are that most medium and large businesses use applications mainly run on Linux, unless they are running on spreadsheets, which has won the data centre and is driving Windows out with the exception of collaboration products i.e. mail, calendar and document sharing software. Free/Libre Open Source software is becoming available for infrastructure beyond the operating system and for horizontal applications. The bulk of application development is being done to open three or n-tier platforms (Java or Python) even if there is an accelerating trend since Oracle’s purchase of Sun to enclose the JVMs with proprietary licences. The superior economics of public cloud computing have not been proven for business as usual IT. Making it pay is harder than the brocures make it seem. IT out sourcing does not create high values of saving, if any. It is also worth also looking at the experiments tried by the Royal Borough of Windsor and Maidenhead led by Liam Maxwell, who is now the UK’s Government Digital Service Chief Technology Officer. In 2010, just after the election, Maxwell was claiming that central government interoperability standards were inhibiting Windsor & Maidenhead’s full adoption of their open source strategy, but since then the Cabinet Office have mandated the consideration of Open Source products and formats for central government projects. Maxwell states that Windsor and Maidenhead were looking to save money in licence fee payments, and he’s now in a position to ensure, if he and Munich are right that everyone can benefit from this policy. So, some town councils have tried to save money by adopting Open Source. The market may be at a tipping point. The Government is now encouraging the adoption of open source products. It may be time for the local authorities to have another think as to whether they can save money by adopting free software. Is there any money there for the UK public sector to recover? Savings in IT expenditure mean that services can be protected, or do the local authorities need greater economies of scale. Bern City Council have an Executive Council which includes the Mayor and four others and a larger council, which Wikipedia refers to as a City parliament, as it seems do the Swiss. I have followed Phipps and used the word Council since it is a more normal usage in British English; it would seem unusual to me to use the word Parliament for a sub-national entity. Phipps and a growing number of IT economists argue that the cost of exit from a software package or platform should be one of the costs of procurement. N.B. This applies to products like Gmail as well as Microsoft Exchange. It is not universally agreed that this is best practice, but it is an invisible borrowing from the future and where you are committed to a vendor that has a practice of abandoning formats and products then this commitment needs to be evaluated against the buyer’s business goals and time scales. Pension systems need to be available until the death of the pensioner, copyright registration systems need to be even more long lived, and the British Library’s commitments to information preservation is forever. The different Councils listed perform different functions since they are located in different jurisdictions. Munich is the capital city of one the German Lander, Bern performs a similar role as well being the Federal Capital of Switzerland, but it is 10% the size. RBW&M is a UK Unitary authority, while the London Boroughs are London Boroughs. They have different powers and duties. The table could do with enhancement to show the total budget and IT budget. The responsibility for education and citizen enablement (libraries and digital divide policy and programmes) will also be relevant in comparing the opportunity to obtain economies of scale. IT departments will prefer incumbency for skills reuse and often personal career development purposes.